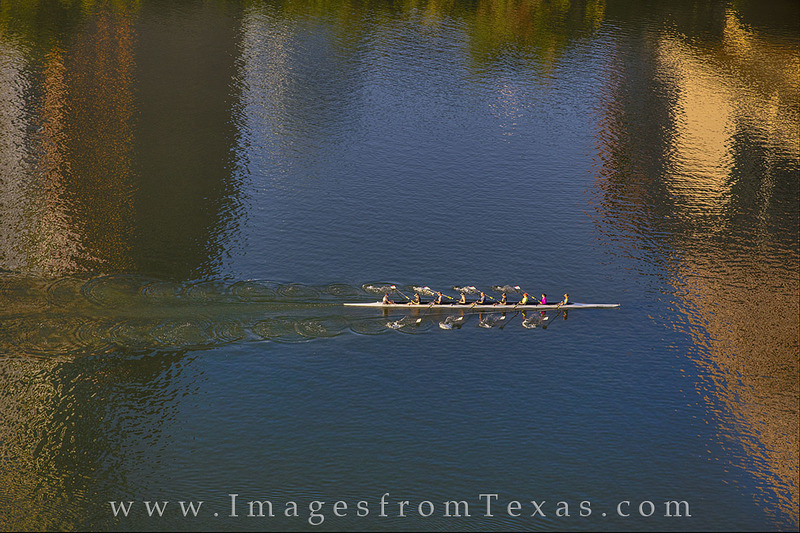 Between the reflections of the Ashton and 100 Congress Plaza, a group of folks flow through the lights and shadows of Lady Bird Lake (known as Town Lake to the long-time locals). This image focusing on the play of light across the water was taken from the Hyatt on a beautiful spring evening. Photo © copyright by Rob Greebon.